A ceremony should be as unique as the individuals and as timeless as their love. As an ordained non-denominational minister, I am committed to helping you in the exciting process of creating the perfect ceremony. 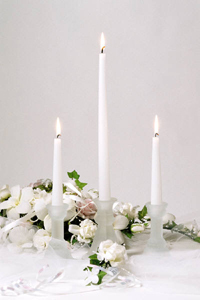 I have a variety of samples, traditional and contemporary, that we can use to form the foundation of your ceremony. I will help you mix and match the parts of each that resonate with you in order to make your ceremony one that you will remember for a lifetime. Together, we will design a ceremony that celebrates your love, your laughter, your dreams, and the uniqueness of your spiritual paths.